Learn more about the organizations behind the longest running offshore fireworks event, the Honda Celebration of Light. Originally named the “Symphony of Fire”, the Honda Celebration of Light has come a long way in 29 years. Recognized as the longest running off-shore fireworks festival in the world, we have hosted dozens of countries to compete each year in a spectacular fireworks display. Our event’s core purpose is to spark togetherness, as we welcome over 1.3+ million regional and international visitors every summer to sample local food, experience live music performances and finally soak in the wonder of the fireworks. Is the not-for-profit society that oversees the Celebration of Light Fireworks Festival, the longest running offshore fireworks competition in the world. 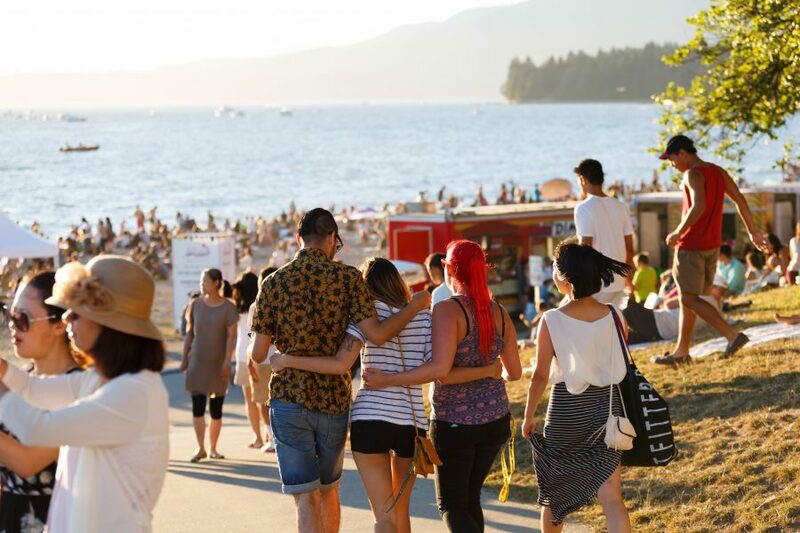 Established in 2001 and run by a dedicated volunteer Board of Directors, the primary aim of the Society is to bring the community together for a free family fun event and to ensure the long-lasting sustainability of the event in Vancouver. Provide display, consulting, production and design services to major events and corporations worldwide. They produce and compete globally at major fireworks festivals and are constantly improving their skills and designing new effects for the fireworks industry. Is a leading event production and creative agency, based in Vancouver, Canada delivering award-winning work for a diverse portfolio of local, national, and international clients. They know the best solutions often come from the most unlikely places, so they bring together a diverse team and an extensive list of in-house services, with a curatorial approach to each event they produce. To learn more about BRANDLIVE, click here. Whether you plant yourself at the Park Stage at Second Beach or catch a set from the Bathhouse Roof at English Bay, we've got a selection of BC based talent fit for any time of day. We're ready to spark some fun this summer. After exploring the festival get ready to sit back, gaze at the night sky, and soak in the fireworks spectacular. We know you're hungry! We've got a selection of the best food on 4 wheels. Bring your appetite and get ready to consume our wide selection of Food Truck offerings by local BC businesses. Question about the festival? Send us a message! Want to be a Festival Insider? Become a volunteer to experience the Honda Celebration of Light up close and personal! I have volunteered with Celebration of Light in the past.